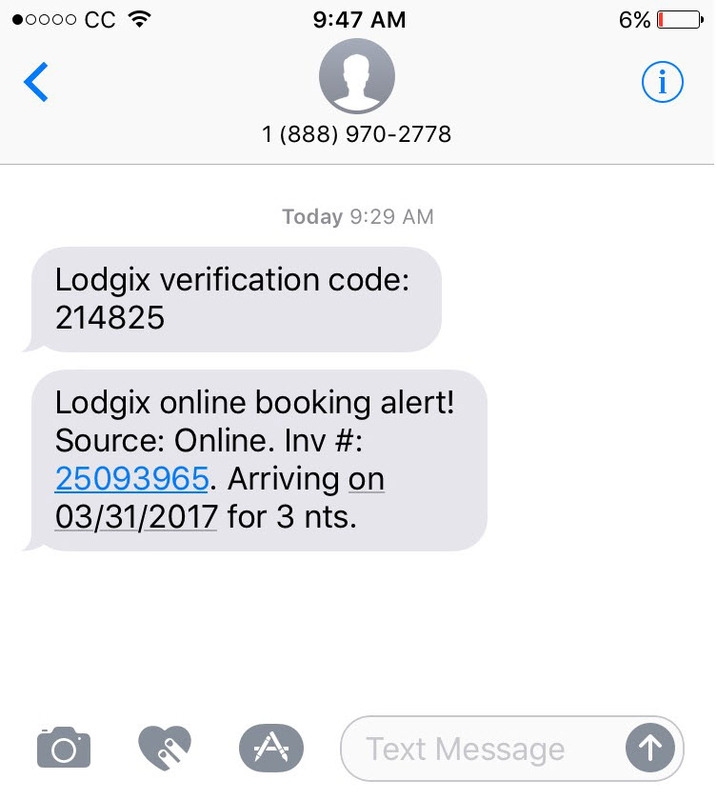 SMS New Booking Alerts Have Launched! Verify your mobile phone number, and then click on Verify Phone and enter the code that is sent to you via SMS. While the reservations seem to come in on-line all the time, we at Cook Forest Top Hill Cabins sometimes have 4 to 5 on-line reservations first thing in the morning from the night before. Our total reservations, since we started with the on-line bookings, are up overall by about 25% per month and we expect it to increase even more as time goes on. We also really like the merchant processing system that is in place, cdgcommerce. Thanks for your great service! Cons: One Con was in setting up as I misunderstood what was required. We have a merchant account that we use in our office when people check in. So when I was asked if we had a merchant account, of course, I said that we did. BUT, I did not understand that we needed an ON-LINE merchant account. This on-line merchant account is a totally separate account from what we have in our office. It took a few weeks longer to get up and running but the wait was worth it. We love CDGcommerce, the company that we went with for the on-line merchant account and things are working very smoothly now. Overall: I would highly recommend this on-line booking system to any business who wants to increase cabin or cottage bookings. I would also recommend Lodgix.com for their design work that they completed on our website. It is very functional and is much more useable than the old site. I love blogging right on our new web site and having customers write their reviews has been a boon! I can post upcoming events to let our customers know what is going on in our area.